In this three year program, playwrights collaborate with actors and directors to shape and reshape their works in classrooms, readings and workshops. They will come in contact with a variety of dramaturgical techniques for the development of dramatic action, character, language and structure. The focus is on a professional and practical approach to scriptwriting, culminating in the writing of three or more rehearsal-ready works for the stage. Opportunities for lab workshops of plays in process will be made available to the playwrights, beginning in the second semester. The first year emphasizes basic playwriting techniques and approaches. In the second year, M.F.A. playwrights are introduced to adaptation, screenwriting and the various professional venues for writers. They explore more fully the issues of rehearsal collaborations and experimentation while developing work on their own, including development of the third-year thesis production. In the third year, M.F.A. playwrights will participate in one semester-long internship at a professional theatre. In the other semester, they will rehearse and produce the graduating thesis play, a fully mounted production of a script written in the course of the M.F.A. program, and directed by a professional theatre artist from the DC theatre community. Over the three years the student will have completed fully realized drafts of no fewer than four plays, a television script and a full-length screenplay, professionally ready for submission to theatres and producers. *Practicum credits are also completed in the first and second years. Students and graduates of the M.F.A. 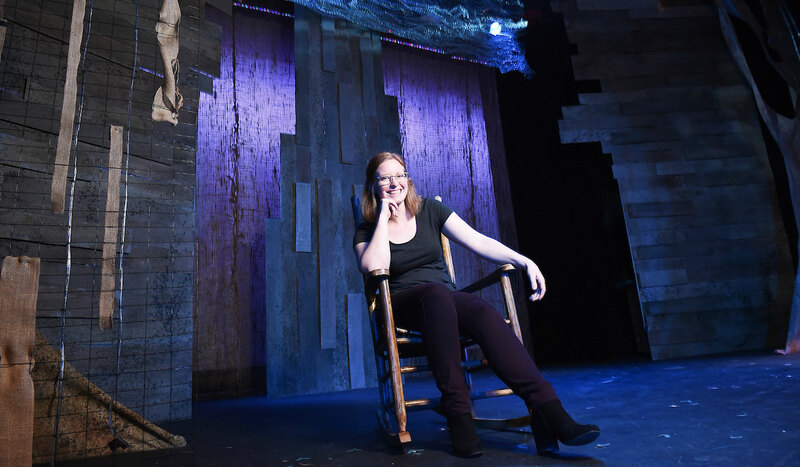 Playwriting program have won national awards and are contributing to the theater scene in New York, Baltimore, D.C., Seattle, and many other places.